Transporting students to and from school safely is a foremost priority for school transportation directors, school bus drivers, crossing guards and others involved in getting students to school. School children travel to and from their schools by a variety of modes including school buses, private vehicles, carpools, public and private transportation providers, bicycles and on foot. 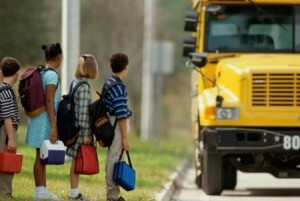 School buses are the safest mode of transportation to and from school in the United States. According to the National Highway Traffic Safety Administration, approximately 450,000 public school buses travel approximately 4.3 billion miles to transport 23.5 million children to and from school and school-related activities. 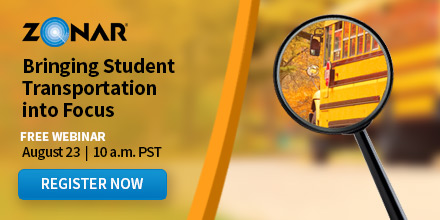 On average, 20 school-age children die each year in school bus–related crashes or incidents. Of these 20, five of the children are injured inside the bus, five are struck by other vehicles, and 10 are struck by the school bus itself. 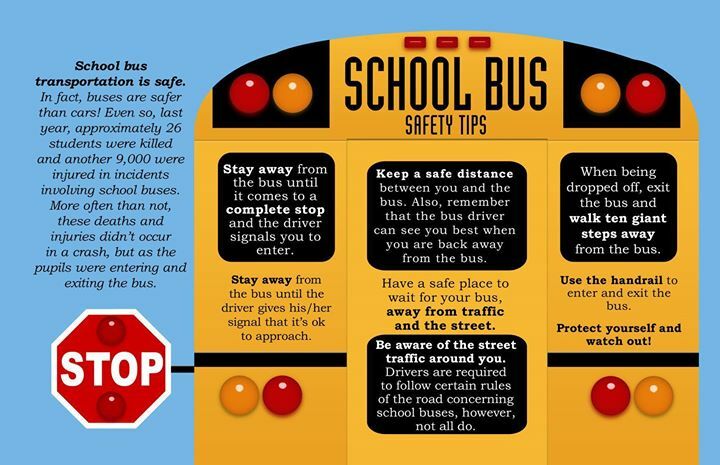 These statistics indicate that there’s an opportunity for even this very safe form of travel to improve the safety of both the locations where students wait for the school bus and the routes students travel between home and the school bus stop. School transportation planners are tasked with planning bus routes. However, only fragmented information regarding safety considerations for determining the location of school bus stops has been available to them. Generally, the placement of school bus stops dictates not only the routes that students will have to travel between home and the stop, but also the conditions in which the student will be waiting, and both impact student safety. School transportation professionals, school administrators, and others who care about student transport to school could benefit from straightforward guidelines that present safety-related considerations for school bus stop siting. These guidelines offer steps for the designation of school bus stops and strategies to support safe pedestrian behavior by students between their homes and their bus stops. 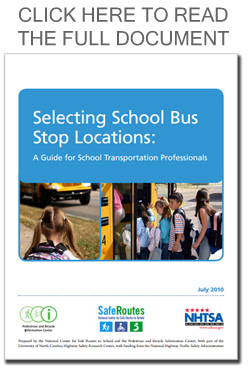 This guide is timely as school budgets and other pressures may lead to the consolidation of bus routes and/or expansions of areas designated as “no transport zones.” Both of these changes can lead to increased walking distances for students or shifts to travel modes other than buses. In addition, new schools are under construction, existing schools have changing attendance boundaries and other circumstances may also result in potential changes to bus routes. Such changes also present the opportunity to identify new school bus stops. This article was prepared by The National Center for Safe Routes to School, the Pedestrian and Bicycle Information Center and The National Highway Traffic Safety Administration.